Though it accounted for over a third of category growth last year, Gold Peak Tea has been pretty quiet on the marketing front. That changes today with the launch of Take A Year Off, a campaign which aims to award one lucky person $100,000 to do whatever they wish for a year. Ideally, the year off will have meaning such as the pursuit of a dream and not be spent frivolously but you never know. Today through July 13, people 18 and up can visit the Gold Peak Facebook page to enter by sharing why they deserve the year off and what they would do with the opportunity. Gold Peak will then narrow down the pool of applicants and the top candidates will submit a video telling Gold Peak why they deserve the comforts of home for a year. Consumers will have the chance to vote for their favorite video entries and near Labor Day Gold Peak will announce the winner. Attention creative geniuses! 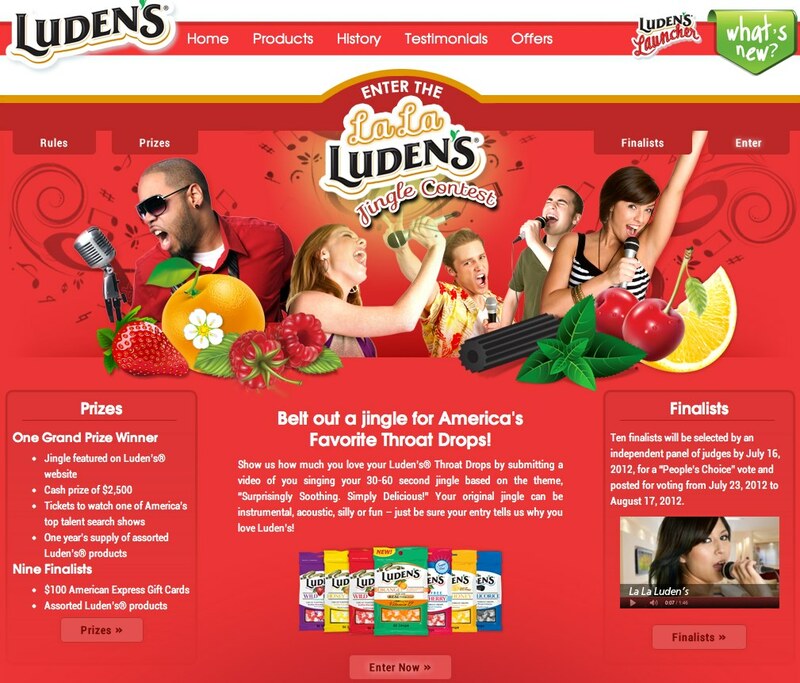 Lozenge brand Luden's is looking for fans to create a video of an original jingle and upload it to the Luden's contest website. Winners will have the chance to have the jingle heard in a new campaign and win prizes including $2,500, tickets to see one TV's top talent search shows, Luden's products and other goodies. So if you have some extra time and want $2,500, give it a go. What's a facial grooming brand to do when there's no facial hair to groom? The obvious choice might be to simply skip that market and move on to one in which facial hair is more prevalent. 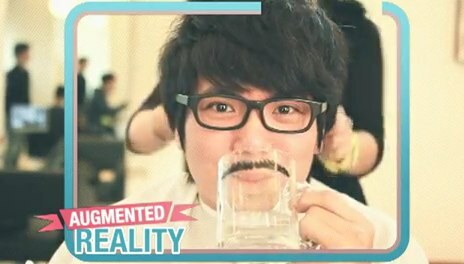 In order to create the need for its facial grooming products, Philips, with help from OgivlyAction in Taiwan, launched a very low tech but very effective campaign which got men thinking about growing facial hair. Without any apps or downloads or the need for an internet connection, OgilvyAction convinced 95% of targeted men to change their mind about facial hair, achieved a 25 percent redemption rate and brought the cost per contact down from $64 to $2. Impressive. Kinda makes you wonder what the big deal is about this whole internet thing. This Mother's Day, Zales is launching "Celebrate Your SuperMom" campaign. Through Pinterest, Twitter, Facebook, TV, in-store and catalog efforts, Zales, with help from GSD&M, will invite users to share why their mom is a SuperMom for the opportunity to win a $2,500 Zales shopping spree. 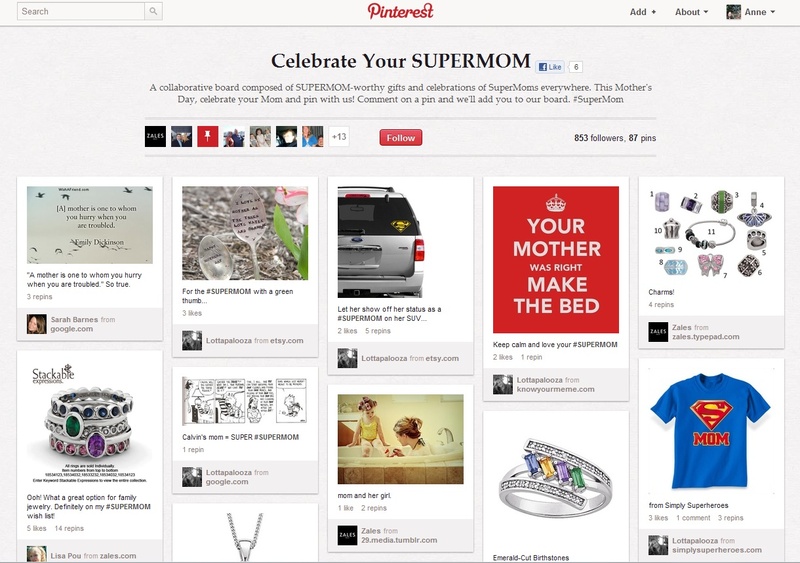 Using a Pinterest board, the campaign will ask users to pin SuperMom - worthy gift ideas as well as other cool things to celebrate SuperMoms everywhere. Yesterday Boston-based Ole Restaurant kicked off its new bike delivery service by sending out one hot guy and one hot girl dressed only in their underwear to make surprise deliveries to startled Bostonians. Smartly, the company made its deliveries to media outlets in the city with the obvious purpose of scoring some publicity. Note to videographer: If you're going to shoot a three minute video of barely dressed hotties, the least you could do is get a few good gratuitous shots of the pair. Way too much quick cutting here. 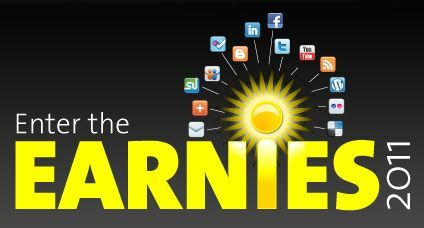 Today, PR Newswire announced The Ernies, a community-chosen award program that will honor excellence in earned media achieved through the use of social media. Oh joy. Yet another set of awards agencies can clamor over and point to during new business pitches. The Earnies are open to individual practitioners as well as brands and organizations and will focus on approach and strategy used to implement a campaign. Hosted on the AGILITY@work web site, all submissions will be reviewed by an independent panel of social media gurus...uh...thought leaders. Currently on the panel are David Armano, EVP of Global Innovation and Integration of Edelman Digital; Matt Johnston, CMO of uTest; Tim Moore, SVP/Social Business Architect of Maximum and CEO of CrushIQ; Liz Strauss, co-founder of SOBCon and owner of Successful-Blog.com and Deirdre Breakenridge, CEO of Pure Performance Communications. From a shortlist of finalists selected by the panel, final winners will be determined by community voting through social media. Alfa Romeo UK hired stunt driver Terry Grant to drive an Alfa Romeo MiTo through 2,500 water balloons in an attempt to break a world record. It seems he succeeded with only four balloons left unpopped. Further capitalizing on the stunt, the brand has launched a Facebook-based contest which will allow people to guess which four balloons went unscathed. Visitors can look at a map of the balloons and if they identify the correct grid in which a surviving balloon was located, they will win a day at the track where they can race the Alfa Romeo. To celebrate its tenth anniversary, Belgian gift voucher brand Bongo has launched Bongo Bingo, an online and offline contest that will result in 30 people having the chance to win a trip for two to the Maldives. 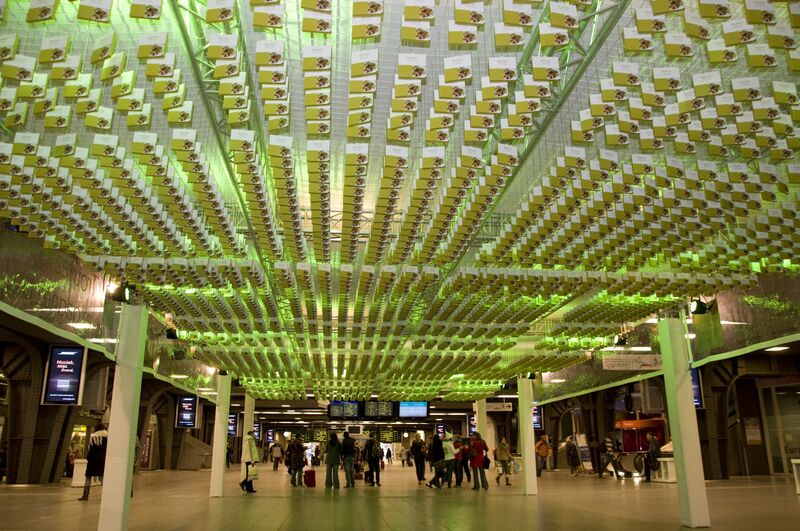 The thirty people will gain entrance to the Brussels-South train station where 5,000 Bongo Bingo boxes have been affixed to the ceiling. One box contains the gift certificate. Participants can begin by signing up at Bongo's website. Sharing the contest through social networks online and buying other gift certificates offline will improve a participants place in the cue to enter the Brussels-South station December 3, the day of the physical portion of this promotion. Liking and following the brand on Facebook and Twitter will further improve a person's position in the virtual cue. The campaign, created by Duval Guillaume, is a nice mix of the physical and the virtual, offers the brand increased exposure in social media channels and build revenue and customer base through the purchase to participate element of the campaign.